We provide full service driver license, child ID, travel ID motor vehicle registration, vehicle title services and more.. Questions? Contact us at a location nearest you!  FooteWork can help you with the abandoned vehicle that’s been left on your property. We are authorized to perform the necessary abandoned inspection then file and follow through on the process until it’s completion. For a nominal fee, FooteWork can even come to your location to complete the required inspection. FooteWork is familiar with the transferring of ownership documents to satisfy both the FAA and ADOT – Aeronautical Division. Let FooteWork take the burden off your shoulders so you can get in the air fast. We can facilitate a faster, more efficient registration and transfer of boat registration through Arizona Department of Game & Fish and the United States Coast Guard. FooteWork can provide you and child with a Child ID. A Child ID is recommended by ADOT and may also help law enforcement in distributing your child’s information and picture to other agencies should, God forbid, your child go missing. Be Prepared, Not Scared with a Child ID provided by FooteWork Auto License and Title Service! For info on Child IDs, go to our Child ID Page. Click the picture for more info on our Driver License Services. Faster and friendlier, FooteWork performs all functions to issue your Driver License at our Prescott, Prescott Valley, and Cottonwood locations. Application, both written and road tests, eye exams, and temporary issuance (identical as the MVD field office). 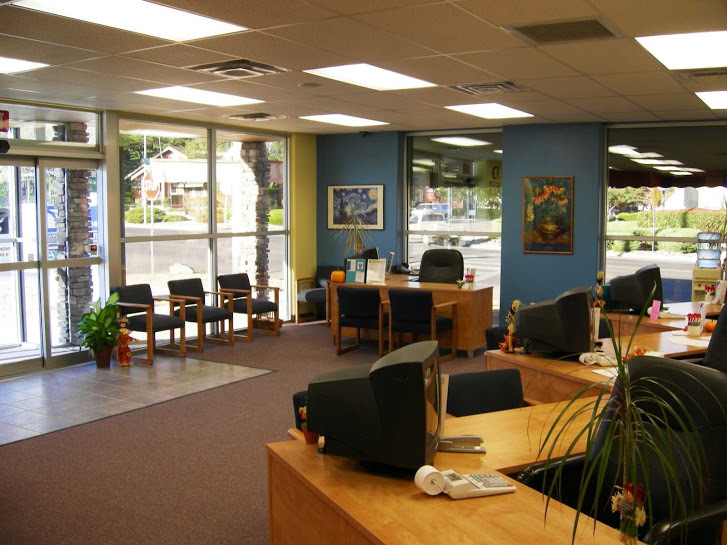 We offer renewals, reinstatements, name changes, initial licenses and identification cards. All in a faster, friendlier process. For more info, see our Driver License Services Page. Can’t find that title to your vehicle? A duplicate can be done in minutes. We also have notaries on staff who can notarize your vehicle title if you are in the process of selling. Some vehicles that are being titled in Arizona for the first time need a Level 1 inspection to verify the VIN and odometer. This usually takes less than 5 minutes and can be done at any FooteWork location or under special circumstances at the owner’s location. Please contact us ahead of time to see if your vehicle requires an inspection. Replace that old or lost license plate with a brand new one. We can take care of all MVD transactions. Effective January 1, 2009, all Off-Highway Vehicles will require the new OHV Tag. We issue these tags in minutes. Ever wanted your own personalized license plate? Order one now. We have a talented, enthusiastic staff who can help with that confusing title problem. Give us a crack at it and see what our professionals can do. Renew registration on all vehicles and boats. In some cases we can issue you a temporary permit when the title work is incomplete or there is a problem preventing the issuance of license plates. Change ownership and issue new title, registration and license plates to new owners. FooteWork can process all of the necessary titles that accompany a towing company or salvage yard’s needs. Salvage, Dismantle, Crush titles are all services we perform. We are also authorized to perform the necessary VIN inspection that’s required to complete the title work. 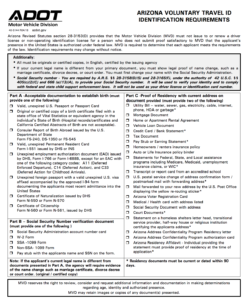 Federal law states that a federally recognized identification will be required to board a domestic commercial airline, enter any federal building, military base, or nuclear facility by October 1, 2020. Until October 1, 2020 all regularly issued state identification or driver license will be accepted to fly commercially. If you choose not to have a Travel ID by October 1, 2020, a U.S. Passport can be used in place of a Travel ID to board a commercial airline, or to enter any federal building, military base, or nuclear facility. A Travel ID is only good for 8 years at a time or until age 65, whichever is shorter. After age 65, Travel ID’s are good for only 5 years at a time from date of issuance. A Travel ID will not allow you to travel outside the United States. You will need a US Passport to do this. 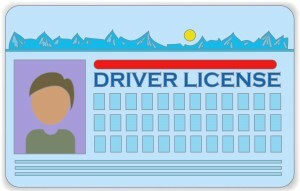 Travel ID notation can be issued as a driver license or identification card. Additional documentation is required for any type of Travel ID. A full list of required documents can be found at FooteWork.com or by asking a FooteWork staff member. New job prospect? Need a motor vehicle record? We can do a personal record printout in minutes. Want a vehicle record for a vehicle that you own? We can do that too. Many people don’t realize that the VLT (Vehicle License Tax) that is paid on their registration is TAX DEDUCTIBLE. We can run a “Vehicle Recap Report” on all VLT that was paid in a year so you can deduct this on your income tax returns. For more information on how to acquire a Vehicle Recap Report to submit to your accountant in order to deduct these costs from your Arizona Tax Return, please go to How To Deduct Your Vehicle License Taxes. 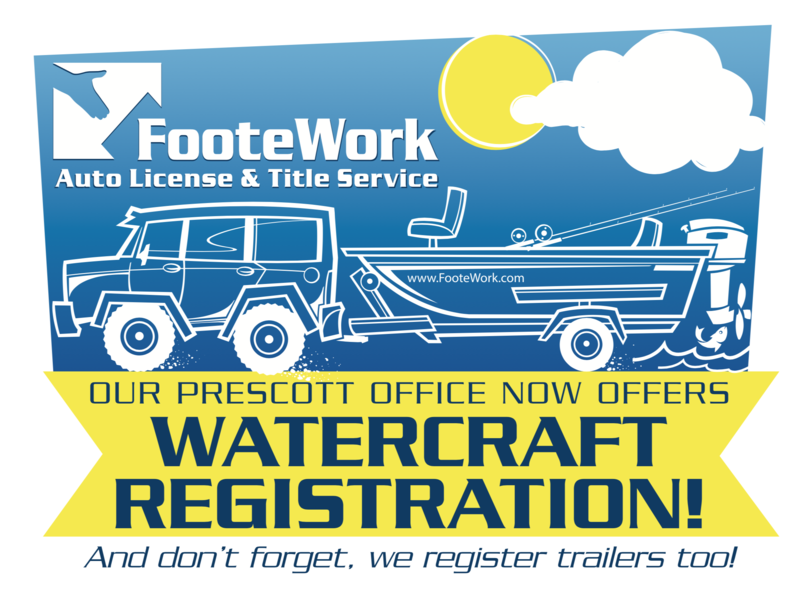 FooteWork’s Prescott Offices location offers watercraft registration services (boats, jet skis, etc.). Utilizing Arizona Department of Game and Fish, you once had to drive to Phoenix , Flagstaff , or use the traditional mail option which could take up to 4-6 weeks. But now, if you come to our Prescott location, we will get you in and out with your completed watercraft paperwork in as little as 10 minutes.